Current version: 1.2.3, released December 9, 2008. 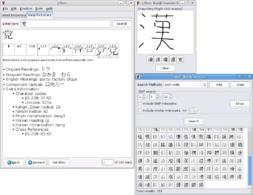 J-Ben is software for studying Japanese, especially "kanji", which are the Chinese characters used when writing Japanese. It should be an excellent study aid for people studying for the Japanese Language Proficiency Test (JLPT), but can no doubt assist anyone studying Japanese who is trying to master how to read and write kanji. J-Ben is FREE SOFTWARE and is released under the GNU General Public License version 2. (Its dictionary files are under separate licenses.) In a nutshell: you're free to copy and distribute this program freely. If you want to make changes to the software package though, read the licenses since restrictions do apply. J-Ben is designed to work on Windows 2000 or later (with East Asian font support installed), as well as most modern Linux distributions. It has been tested directly using Windows XP Professional and Debian GNU/Linux. If you're interested in how the program is used, please read the manual. There is also an illustrated guide, although it is intended for a much older version of J-Ben. 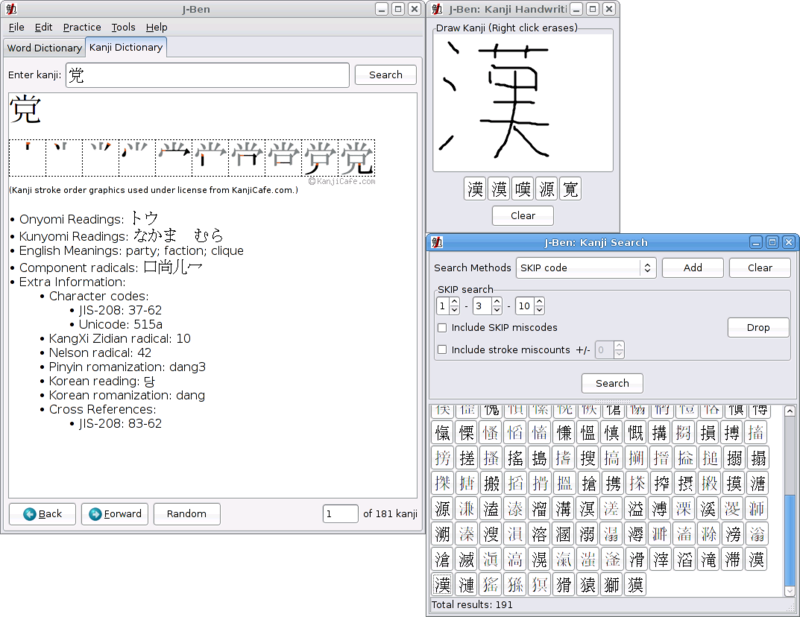 J-Ben is powered by the various publicly available free dictionary files from Monash University. Currently supported are KANJIDIC2, KANJIDIC/KANJD212, EDICT2, RADKFILE and KRADFILE. Windows versions of J-Ben come bundled with EDICT2, KANJIDIC2 and KRADFILE. For more details about these various files, please refer to Jim Breen's page on Monash University's web site.